In gifting £1.1m to fund a 550-seat auditorium space at the new Centre for Student Life, Welsh philanthropist Sir Stanley Thomas OBE (Hon 2011) will contribute to the student experience of those living and learning in Cardiff for decades to come. 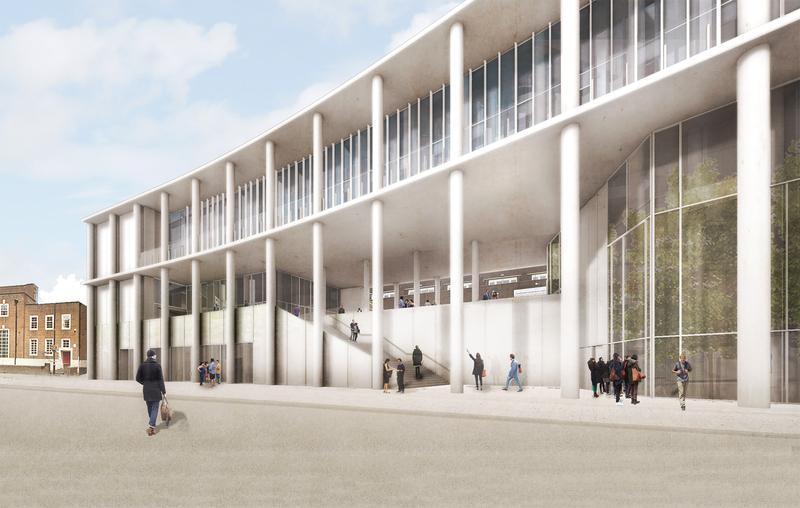 Construction of the Centre began in September, with ground broken by Cabinet Secretary for Education Kirsty Williams OBE AM and Vice-Chancellor Professor Colin Riordan. Described by Sir Stanley as “not a nice-to-have, but a must”, the Park Place site will serve as a purpose-built home for Cardiff’s Student Support & Wellbeing provision from 2020-21. It will enable equivalent online services for all students (in Cardiff and across the world) as well as a single 24/7 gateway to manage all non-academic student enquiries. At its heart will be a state-of-the-art teaching, learning and meeting space named after the leading businessman, with Sir Stanley having enabled its realisation with the largest single lifetime gift from an individual in the history of Cardiff University. One of the venue’s functions will be to host visitors and local school parties as part of the University’s programme to widen access to higher education. With fit for purpose accommodation, the University is able to overhaul its student advisory services to lead the sector, with the Centre providing the physical and digital infrastructure for increased capacity and flexibility, group work and long distance support. “Such ambitions could not be realised if it were not for extraordinary generosity like that shown by Sir Stanley. His kindness will leave a profound physical mark on our campus and have a real and transformative effect on people’s lives for generations to come,” said Ben. His comments were affirmed by Academic Registrar Simon Wright (LLB 1995), who believes that such a gift will play an integral part in advancing Cardiff’s commitment to student care and providing an exceptional student experience. Find out more about providing a gift here.